With well-informed parents and children settling for nothing short of the best education possible, the number of students embarking on overseas studies is increasing day by day. Technological changes and growth of the internet has brought top notch universities/ institutions around the globe closer to us than never before. It is a common sight to see scores of students, visiting seminar venues and overseas education expos accompanied by their parents, with palpable excitement of finding a course abroad that fits their interests and aspirations. However it is observed that, many students, who seem highly positive about embarking on international studies, drop their plan at the funding stage. 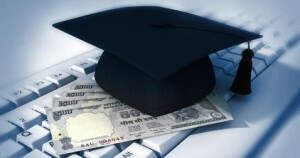 Though higher education does not come cheap by any means, considering this as a long term investment with high returns and relatively easy availability of education loans there is no point why one should end his /her overseas education dream for the paucity of funds when overseas education loans range generally from Rs 7 lakh to Rs 35 lakh and more, in case of certain banks. The main hindrance observed here is the lack of information or misinformation regarding the process involved in securing education loans. Banks have well-defined criteria for sanctioning loans and knowing about them can reduce your effort by atleast half. The first things are with regard to the eligibility criteria, which stipulate that the student seeking educational loan should be Indian national and that he/she should have secured admission to foreign university/institution. Generally what is covered with an education loan? What is the usual payback period? The loans are offered with a moderate interest rate allowing enough time to pay back (normally over a period of 5 to 7 years) after one year of studies or six to twelve months of getting employed, based on various factors and subject to providing security Interest rates .Banks offer a choice between fixed andfloating rate which can vary between 10% and 15%. • Decide the amount of loan on the basis of your total course fee and expected living cost. • Choose a bank that will provide the best moratorium period, interest rate and terms to pay back the loan. • Check if you are allowed to pay EMIs in advance or make part payments towards the loan. Know about all the service charges that are applicable on your loan. • It is ideal for students to avail education loans from nationalized banks which are recognized by immigration authorities in countries like UK, Canada, New Zealand, etc also because education loans taken from a private or government banks come with tax benefits under Sec 80-E of the Income Tax Act. • One should, without fail, keep a record of all copies received from banks related to education loan. These details are to be taken as a general rule followed by the banks and are subject to change from bank to bank and from time to time. This entry was posted in Education loans for studies abroad on August 8, 2017 by Ronnie Fredrick Thimothy.